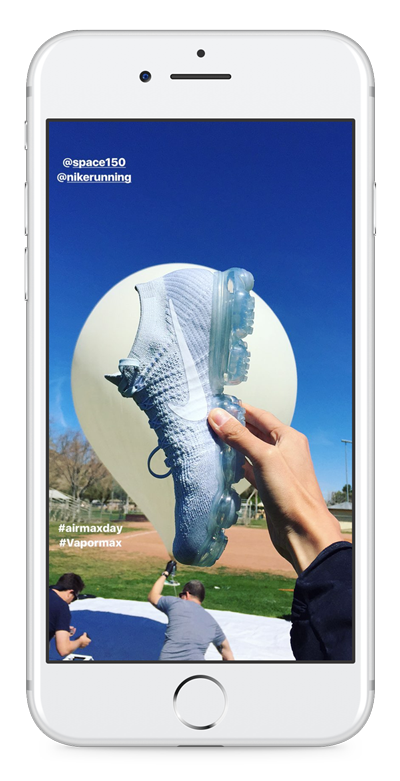 For Air Max Day 2017, our good friends at Space150 wanted to do something truly big for their partners at Nike. 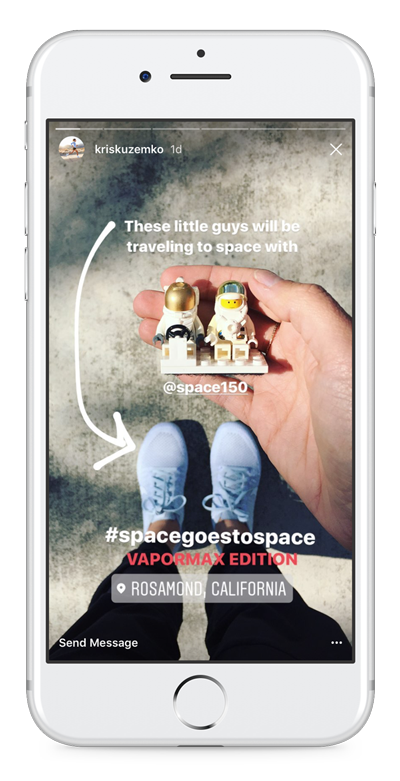 So after a couple quick phones calls, we decided to send the new, super limited, Vapor Max to space… and capture it all via an Instagram story & live stream. We had about 48 hours to pull this off in time for the day's celebration, so we dropped what we were doing, packed as much gear into our luggage as possible and headed to LA for the weekend. 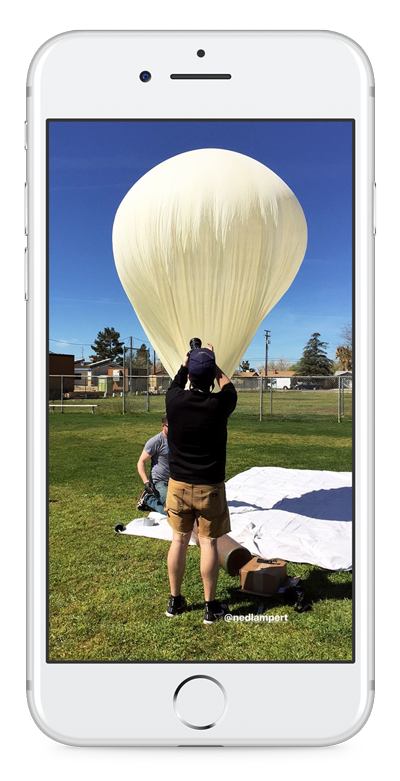 What started as an idea on Friday afternoon became a full build, launch and recovery by Sunday afternoon deep in the Mojave Desert of southern California. Space150 and Nike led the campaign and PR efforts, while we were responsible for the payload design, construction, launch, tracking and planning. 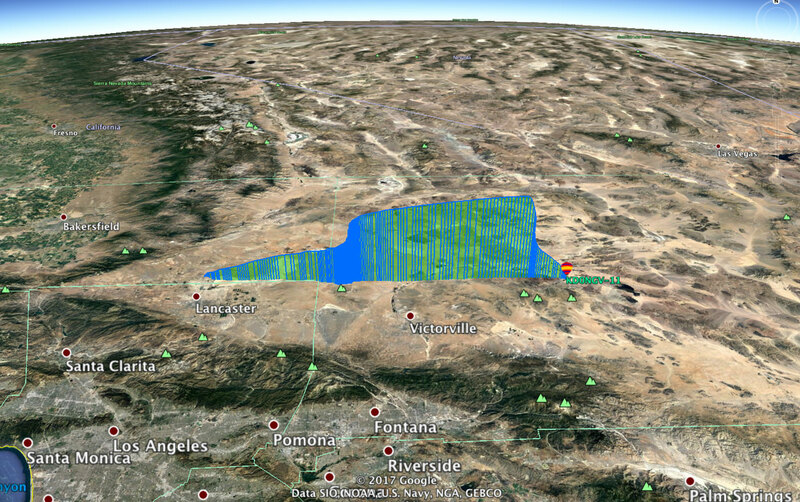 We spent a considerable amount of time on the plane ride out to LA running predictions on the Univeristy of Wyoming's Balloon Trajectory tools, to ensure we wouldn't land in the ocean or the mountains, and thanks to all that extra effort, the whole thing went off without a hitch. At the end of a long day racing across the Mojave, we wound up soaring up over 117,000 feet and capturing some pretty epic footage of Nike's Vapor Max flying high above the Earths surface. 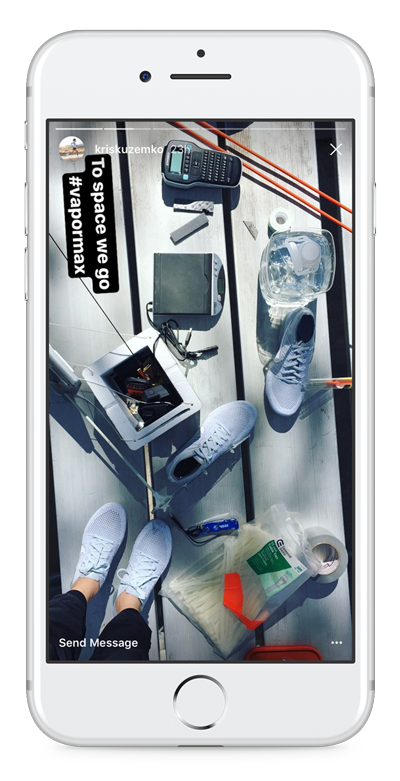 Folks following along on Instagram were treated to some behind the scenes as we prepped for launch as well as a live-stream of the onboard footage later the next day. We even got a little love from the fine folks over at Ad Week, which made all our frantic shenanigans across the desert just a little more sweet. 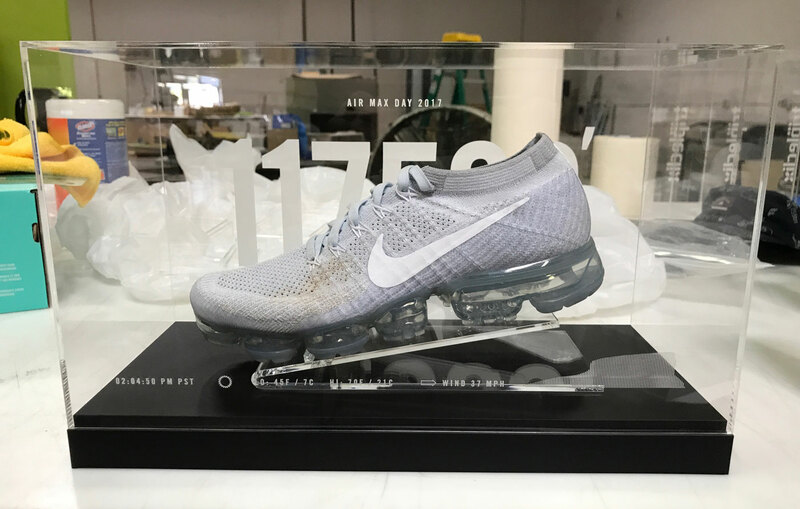 We even had a fancy little case made up for Nike to display on their campus. We like the dirt smudge on the side of the shoe from it's landing impact. Pretty perfect.